Pitsford Weather Centre is based at Pitsford School, a small independent day school on the outskirts of the village of Pitsford in Northamptonshire. At the heart of the school is Pitsford Hall, an 18th century Georgian manor. The building has historical connections with the British Royal family. Click here for a brief history. The weather centre was conceived in 1998 by Sixth Form students as a long term community service project and is maintained by the geography department. The centre has grown significantly over the years, acquiring new instruments with the generosity of local businesses and individual benefactors. In 2018 the centre became the official Met Office climate monitoring site for Northampton following the closure of Moulton Park at the University of Northampton. The centre's climatological record has always been maintained by fully trained Sixth Form volunteer observers who make manual observations at 0900hrs every day using classical instruments. Students' involvement in the weather centre counts towards their Duke of Edinburgh Gold Award. In 2016 the weather centre significantly increased the amount of online 'live' weather data with the acquisition of two automatic weather stations. The weather centre's website is now one of the most comprehensive sources of local weather data and we can now offer access to weather information via smartphone apps, Twitter and Facebook. Weather data is currently updated at 15 second intervals. The weather centre produces a local forecast for the county on a daily basis. The Daily Weather Report can be received as an RSS feed or via the forecast page on this website. In addition, each month the centre publishes a Monthly Weather Report. This is available as an RSS feed, emailed report or as a PDF document for download. A paper version of the Monthly Weather Report is circulated to libraries across the county and is received by the British Library. The centre is the custodian of a large amount of weather data including temperature and rainfall records for the county from 1880 to the present. Daily weather records since 1998 are freely available to download as are monthly and annual weather reviews and summaries. The weather centre is regularly featured in the media, providing an authorative source of information on the local weather. Pitsford Weather Wizard is the name under which we supply images to the BBC Weather Watchers website. We are very grateful for the support given by two of the UK's most notable broadcast meteorologists. Michael Fish became patron of the weather station in September 2000 and honorary patron following his retirement in October 2004. Alex Deakin agreed to become the station's official patron in 2004. Pitsford Hall (left) has been the home of Pitsford weather centre since 1998. The site occupies part of the roofspace and has an office on the top floor (right). The weather centre's inventory includes a range of both classical manually read instruments and digital sensors. Stevenson screen with traditional thermometers and digital sensors (left) and artifcial grass surface and concrete slab (right) with digital probe and standard thermometer. The main instrument display panel in the weather centre office (left) designed by Instromet Weather Systems Ltd. The Instromet system is our primary automatic weather station. 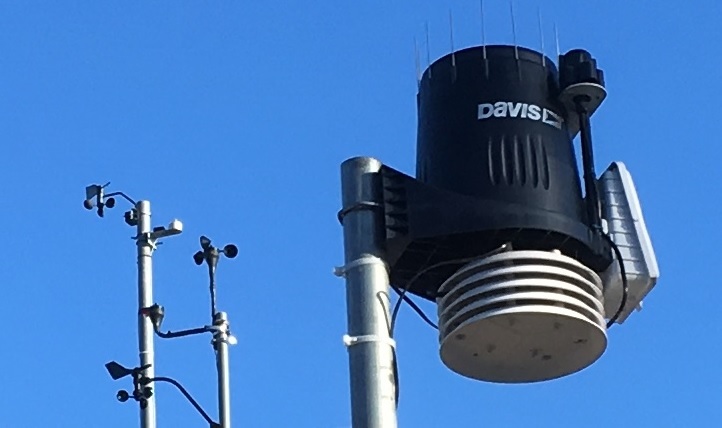 The Davis Vantage Pro 2 weather station (right) supplies additional data on grass and concrete temperatures, uv and solar radiation, dew point and evapotranspiration. Both the Instromet and Davis systems are integrated to form one online automatic weather station. In producing its local forecast the weather centre uses a variety of computer models, locally captured weather data, traditional weather charts and a little bit of human intuition! 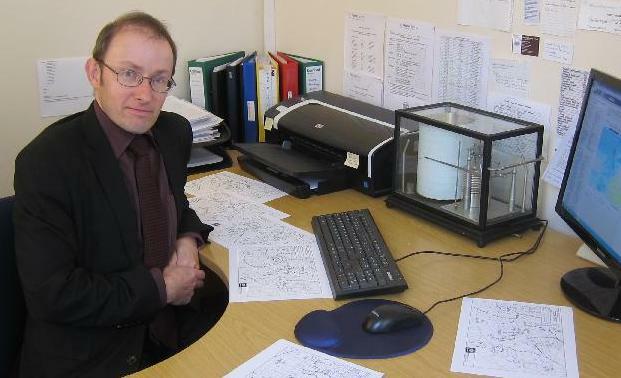 Mike Lewis has been manager of the weather centre since its inception in 1998 and has taught meteorology and observational practice to generations of Sixth Form students.